“I am a career Huskie,” Alan Clemens notes with a laugh when asked about his background. 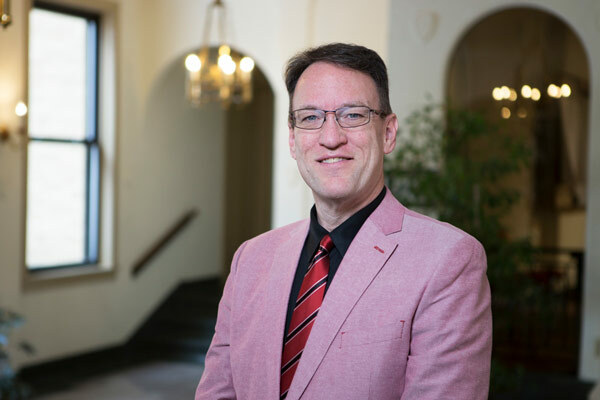 Alan earned his bachelor’s degree in political science in 1987 before completing his master’s degree in instructional technology in 2001 and doctorate in instructional technology in 2016—all at Northern Illinois University. Since 2001, he’s been teaching at NIU as an instructor in the College of Education, and he’s recently taken on a new role in the Division of Outreach, Engagement and Regional Development as the director of the Illinois Interactive Report Cards office. Although Alan has stepped back from teaching to move into his staff position, he’s still motivated each day by his desire to serve students. It’s truly about the people. Now Alan has a chance to serve an even broader population in his new role. The Illinois Interactive Report Cards office provides an array of consultative and production services to local, state and federal educational organizations. The office is best known for creating the Illinois Report Card and is partnering in 2019 to publish Illinois Postsecondary Profiles. This pair of websites is designed to share a rich collection of data about K-12 schools, community colleges and universities across the state, including enrollment and graduation rates, financial data, academic performance and even graduates’ early career trajectories. The data is instrumental to policymakers, teachers, school administrators and counselors, as well as students and families making educational choices. Clemens’ colleagues praise him as a talented leader and consensus-builder who is dedicated to serving students at NIU and throughout the state.